Let me not be misunderstood as counseling anybody to "rough it" by sleeping on the bare ground and eating nothing but hardtack and bacon. Only a tenderfoot will parade a scorn of comfort and a taste for useless hardships. Can you do without it on the trail? As 'Nessmuk' says: "We do not go into the woods to rough it; we go to smooth it — we get it rough enough in town. But let us live in simple natural life in the woods, and leave all frills behind." An old campaigner is known by the simplicity of his equipment. 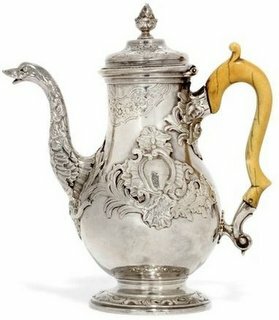 He carries few "fixings," but every article has been well tested and it is the best that his purse can afford. He has learned by hard experience how steep are the mountain trails and how tangled the undergrowth and downwood in the primitive forest. He has learned too how to fashion on the spot 'boughten' things that we consider necessary at home. Now it is not needful nor advisable for a camper in our time to suffer hardships from stinting his supplies. It is foolish to take insufficient bedding, or to rely on a diet of pork, beans and hardtack... The knack is in striking a happy medium between too much luggage and too little. Ideal outfitting is to have what we want, when we want it, and not to be bothered by anything else. Kephart's words were written in 1917 and still hold. 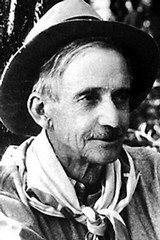 Keppler was a key person in the creation of the Appalachian Trail. His camping guide is now obviously dated with descriptions of the qualities of canvas, heavy kitchen gear, knives and guns, but his basic premises are as apt as ever and his writing makes for a lively read if you like such guides. I'll try to keep his advice in mind as I write. There is a plethora of advice on the Internet regarding how to prepare for a longer hike. However, I was surprised that some of the items listed below were hard to find. Elevation and temperature are certainly discussed, but they are far less common a topic than, say, the ideal weight of a pack or what to carry in your pack. Like most hikers, I have learned what not to carry from experience. How many times did I read something like, "The first time you hike, your pack will be too heavy." Yeah, yeah, I thought. That's the average person, not me. I've read Kephard. I know. I'm still getting rid of kickshaws I don't need. Hike Your Own Hike. I first learned this acronym on the Appalachian from a hiker named Jeff. It's important to develop your own routines and pace. If you constantly adapt to another's routines, you could find your body protesting in ways you have not anticipated. I started the Appalachian solo and ended walking with four people who I expect will remain friends. Meeting new people was one of the most rewarding parts of my experience. We camped together, planned together, shared motel rooms and solved problems together. However, by day, we all travelled at our own pace, often meeting for lunch or taking a break together. Sometimes my pace matched another's and we walked together. Often I walked alone, knowing one of my mates was not that far ahead or behind me. By night, the temperature could fall drastically. At the southern end of the trail on the night of May 24, temperatures dropped to the low 40sF (4.5�C). Into June, there were still times when the night temperaturatures were in the 40s. These are the mountains, so temperatures can be 15� to 20�F lower than the valleys (or "gaps" as they're called in the south). If the clouds move in, it can also get humid. A quick check of Springer Mountain temperature forecasts for the last week of June, 2013 shows temperatures in the 68�F (20�C) range for both day and night. Pretty nice hiking weather, but it will get somewhat hotter in the gaps and (generally) in the towns you might visit. I have no experience with this, but you can get snow on the higher sections of the southern trail until early April. South-north thru-hikers (most of whom start between January and April) have all kinds of dire tales of wonky weather at this time. Rule #2: check and recheck weather conditions, both general and specific to the time you are hiking. Hike light, but carry enough so that you don't freeze! This is elementary my dear Watson, but I confess I neglected to seriously consider elevation on my southern Appalachian hike. This is a massive (and dumb) error. I merrily calculated that my 60-something body could handily cover 20 miles a day. I was very wrong. My top day was something in excess of 16 miles. Generally it was about 12, with a few 8-mile days on hard sections and a couple of five or six-mile days when I wanted an early finish in a town, so I could have some down time. Clingman's Dome in the Great Smokies at 6655 feet (2028.5 metres) is the highest point in the Appalachain Trail. From the south, the trail rises and drops, but mostly rises to this point. 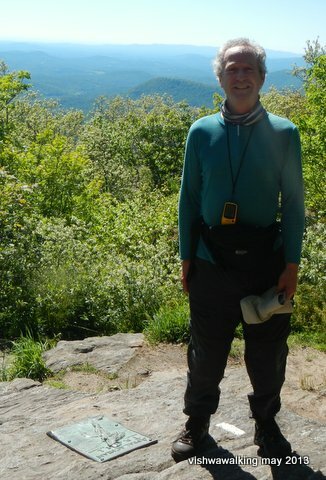 On my first day on the southern Appalachian, I clambered up the 604 steps of the approach trail in Amicalola Falls State park followed by the Springer Mountain incline. I was thoroughly exhausted and wondered whether I could do the trail at this level of effort. Then I looked at my elevation map (in my guide by David Miller). The news was not good: while the steps are steep, Springer Mountain is not particularly so. Many of the mountains to come are much steeper. As I learned to pace myself, it got better, but I could have been much better prepared on this one. Note to self: read the guide, look at the elevation graph, enjoy the written words, look at the elevation graph, check out shelter descriptions, look at the elevation graph...etc. Some downs are worse than ups. For example, much is made of the Blood Mountain up (from the south). I actually found it okay (steep, yes, but no huge deal). 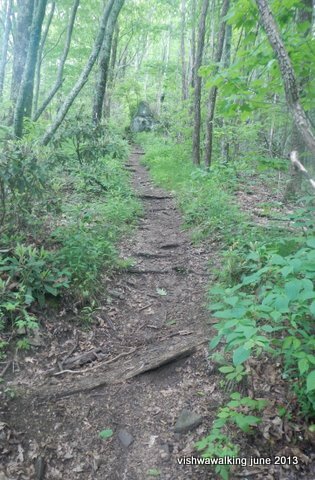 Going down was very steep, with some hairy parts.The only thing that keeps a hiker going here is the thought of Neel's Gap and a mattress in the bunkhouse. Rule #3: check elevation graphs, then check them again. Estimate daily hikes based mostly on elevations rather than mileage. Everyone has their own routine for caring for their feet — or they should have. If you don't, develop one fast. Long-distance hiking plays hell with your feet as they get subjected to constant pounding on earth and rock. My routine: I wear two socks. A liner sock goes on first followed by a light smartwool sock. But before that, I put Band Aids (Limeys, read "plaster" here — which is what I still call them) on spots that look like they are getting rubbed excessively, even if they haven't yet become a blister.. On tender spots and potentially tender spots, I also use either gel tubes or tubular foam for particular toes. I then powder my feet with Gold Bond foot powder. I carry an extra pair of socks (including the liner), which I will use if my first pair gets wet, sweaty or generally unbearable. Going up hills is kind on my feet even as I puff and wheeze on steep inclines. Going down, I use my walking poles extensively to protect my feet from excessive battering. My lungs like the downs; my feet don't. The trend these days is on light hiking shoes/boots. I still wear heavy leather hiking boots — the same ones in winter as in summer. They do provide maximum support, but I'll admit that it does add a lot of weight that my legs have to lift and drop thousands of times. The extra weight of each lift per step adds up to tons of extra weight. The rougher parts of the Appalachian warrants this for me, but I certainly will cut back to my "urban hikers" — a low cut, but still leather pair of walking shoes — on less arduous hikes. Have a light but really comfortable pair of shoes/sandals for in camp. Padding about in the evening in light shoes that your feet, which will have expanded from the long walk, can luxuriate in is one of the positive joys of hiking. You'll develop different pacing according to the terrain. Listen to what your feet (and indeed your whole body) are/is telling you and adjust accordingly. I stride on the flat and on the slight downhills, and even "scoot" as one fellow hiker dubbed my technique. Scooting is reserved for slight downhills with no rocks or tree roots. It involves slightly bending my knees and lifting my feet as little as possible while I "run" down the trail. Don't fear, I don't really run, but rather slither along the trail with my poles poised. The bent knees make it safer than a run and protect my feet from pounding the ground. Downhills with steep or virtually vertical bits need careful positioning of your walking poles. My poles have saved me from many tumbles. People still do travel pole-less, but it's a rare walker that doesn't have at least one pole. I have two for balance. It definitely builds muscles in your arms and upper body, it takes a bit of stress off your feet and legs, and it's a safer walk. You can also use your poles as tent poles. Rule #4: Pamper your feet as much as possible. They take a terrible beating and some damage is almost unavoidable, but you can make it tolerable. If you feel a blister coming on, stop immediately and deal with it! Much is made of the prevalence of bears in the Appalachians. They're black bears and so generally cut a wide berth around humans. Nevertheless care must be taken to keep them from stealing your food or from becoming accustomed to expecting food at campsites. Many shelters on the Appalachian have bear cables, which make hanging your food really easy. If that is not possible, have the wherewithal to throw a rope over a branch to create your own bear hang. There are lots of videos online to show you how to do this. Here are a couple. These are instructions for a basic bear hang, although I'd go a few feet higher than these folks. And the water bottle as a weight? Not sure about that. I have a little lightweight bag that holds my bear hanging rope. I put a rock in the bag (some people advise against this as you might conk yourself on the head with your own rock, but that's a caution I am aware of when I throw) and away I go. Here's a more sophisticated hang video. Hangs can get complicated; check out as many as you can to find the method you're comfortable with. Snakes: I travelled with a person who had (and knew how to use) a venom kit — bonus! However, that is not necessary. Just take care. 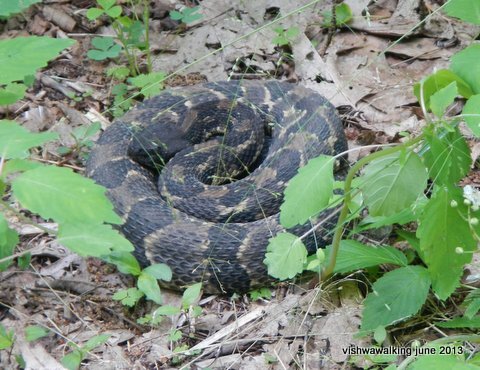 Tap a big log or root before you step over it — there may be a rattler snoozing on the other side. Keep an eye out on the trail for roots that magically turn into snakes. Again, snakes will take pains to avoid you, so it's nothing to get paranoid about but it is something to be aware of. Even when you're on your own and in deep "trail meditation" have a third eye out for snakes. Mice! Damn, these are a problem on the Appalachian. In shelters, even backpacks cleared of food can be chewed through by these persistent critters. Some shelters have nails, some have nails with string and a plastic tin or bottle inverted part-way down the string to slow mice down. I slept in a Hennessey hammock on my 2013 trip. One night I found myself bashing mice that where using the rope that holds my fly netting above my head as a highway to get to higher points. They're wily. One sleeper had peanuts he'd forgotten in his pocket chewed. Apparently a mouse had entered his sleeping bag, crawled down to his pocket, had a feast and scampered off all while he was asleep. A bit creepy. Other campers have had mice crawl over their sleeping bags, faces and hair. One YouTube shows a hiker who claims he was bitten by a rat during sleep. Not sure about that one. Some shelters are more mice free than others. If you use a tent, it goes without saying that you must keep food out of it. However, I read one story of a hiker who was dismayed to find his tent chewed through by a mouse or other rodent looking for food. Sometimes all the care in the world cannot prevent such episodes; evasive action can reduce such incidents. Chiggers: these are mites in the larvae stage. They attach to animals and feed off the fluids in skin cells. They don't burrow as many people think. One person I walked with got chiggers and they were very irritating; at night especially she was plagued by their itching. Chiggers develop into nymphs and adults, at which point they feed largely on plants. One way to reduce the incidence of chiggers is to wear loose clothing. They like to lodge in places like under the waistband of underwear or socks, or in armpits. For more information read this piece, where I got my chigger information. Blackflies, mosquitoes and other bothersome flying insects: I found few of these on my spring Appalachian trip, although they were there. Some people are bothered more than others, and some of my fellow travellers were bothered at times. I carry a small piece of netting that I can drape over my hat if the biting insects get too aggressive. I seldom use it. I also walk wearing trousers (not shorts) to cut down on mosquito feeding grounds. Poison ivy: it lines the Appalachian trail at points and its ivy wends its way up tree trunks. Be able to identify the three-leafed plant. There are also stinging nettles about, which are a minor nuisance. Check out this comprehensive page for more information, or this site created just for hikers. One important note: alcohol-based cleansers should not be used to clean spots infected by poison ivy, because alcohols allows deeper penetration of the skin. However, early soap cleaning can avoid being plagued by poison ivy. Washing in water also helps. I met many people who said they were not affected by poison ivy. The stats: Fifty per cent react to slight contact (!) and 20% to more intense contact. Only 30% have no reaction at all. For a close-up of poison ivy, see the above sites, or here on this site. can be avoided. June 6, 2013. Ticks: These eight-legged creatures can carry nasty diseases like Lyme Disease. They drop on you from plants and burrow into your skin in search of blood. The best defence is to cover up: hat, long pants, etc. Also check from time to time in popular tick hideouts: groin, underarms, thighs, any warm comfy spot. Best removal technique is with tweezers (or even fingernails if you catch them in time). Try to remove the entire tick; leaving bits behind could lead to the area getting infected. Disinfect the wound after removing the tick. Rule #5: Be aware of what's out there. Be attentive. Be able to identify poison ivy. If you see a bear on the trail (and many do) give it as much space as possible — but don't run away. This is a massive subject: what is essential, what can you do without, what's the lightest reasonable tent, sleeping bag, cooking stove, etc. etc. I'll deal with gear separately elsewhere. Regarding food, on the Appalachian, you can generally resupply every four or five days, so don't carry excessive amounts of food. I initially did, carrying close to 50 lbs (22.6 kg) of gear because I wanted to have my own dehydrated food, fruit leather, jerky, etc. Ouch! I soon dropped that to the low 30s (13.6 kg). I can do better. By the way, regarding reading matter, many people object to ebooks. I agree they can make for a sterile read in comparison to paper books. However, on the trail, they're fantastic. My charged Kobo battery lasts for weeks of constant use and can be charged at a motel. In one light book, I carry 100 books. Luxury! Read as much as you can online about pack weight and in books like The Complete Walker IV. Rule #6: Carry only what you need. You don't need your favourite coffee mug, your favourite Buck knife, a GPS, three sets of extra batteries, or many other heavy items.